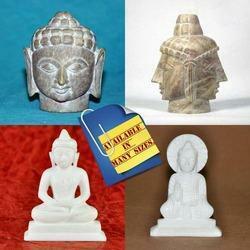 Pioneers in the industry, we offer stone buddha statue - stone carvings statues, stone incense and candle holders - handmade stone artware, stone jewellery boxes - soap stone carving, soapstone hand carved flower pot - elephant design, stone carving t-lite holder and stone sculpture carving animal figurines - many designs from India. With our decade of experience, we are catering to the Buddha Stone Carvings. Suitable for gifting purpose, our offered stone carving is design using premium quality stone keeping in mind the market trends. This stone carving is widely demanded by our customers due to its finishing. In addition, we are benefiting our customers by providing this stone carving in customization options. We are the leading organizations engaged in manufacturing, trading and supplying a broad assortment of Stone Incense Holders. 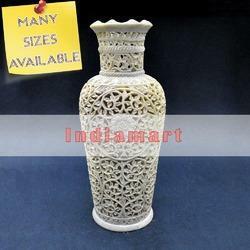 These incense holders are designed as per the set market norms by our experts using high quality material and ultramodern techniques. 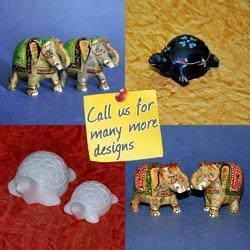 We offer our incense holders in varied designs & finishes as per the need of customers. 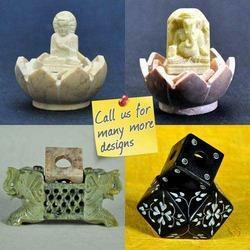 Our incense holders are provided in quality packaging so as to maintain its defect free range at customer’s end. 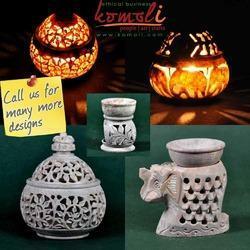 Fostered with a team of highly experienced professionals, we are able to offer Stone Carving T-Lite Holder & Oil Burners. 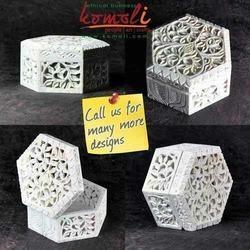 These products are acclaimed in the market for their excellent finish & quality. We design these products from top grade stone with best finishing tools. Our offered products are available in various shapes & themes. We are amongst the leading manufacturer, trader and supplier of an extensive quality range of Stone Sculpture Carving - Animal Theme. Our offered product is designed by our skilled artisans using optimum quality stone & best finishing tools as per the market trends. The given product is renowned for its smooth finish. This product is made available in various designs and finishes in accordance with the clients' requirements. 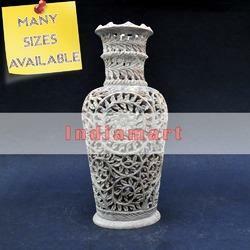 Soapstone Vases, Flower Pots for Home Decor, Stone Vases. Looking for Stone Carving ?